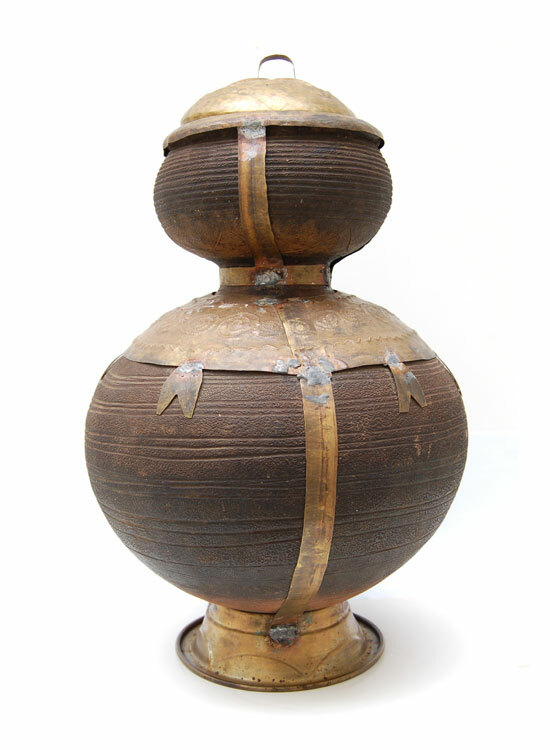 Vintage Nupe clay pot with brass accents. 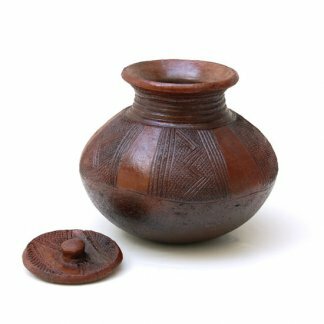 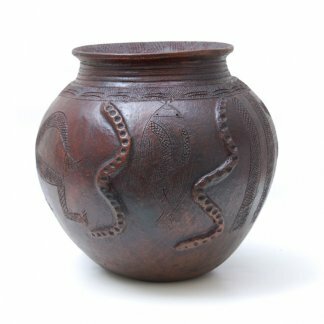 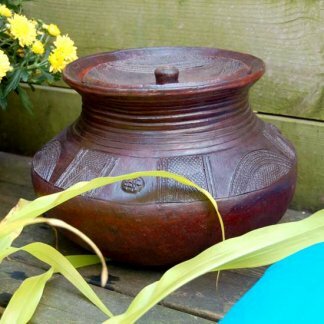 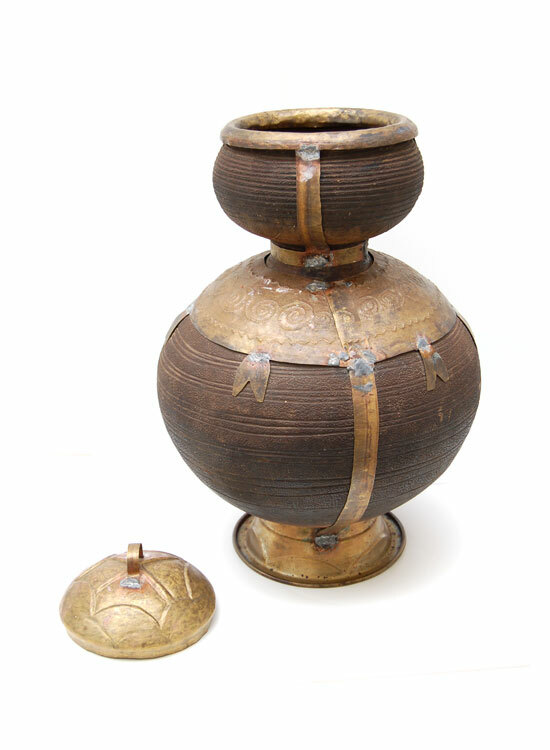 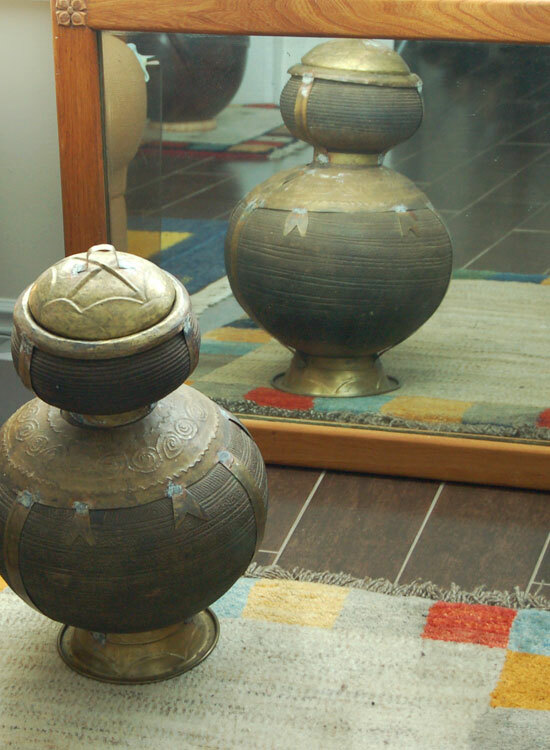 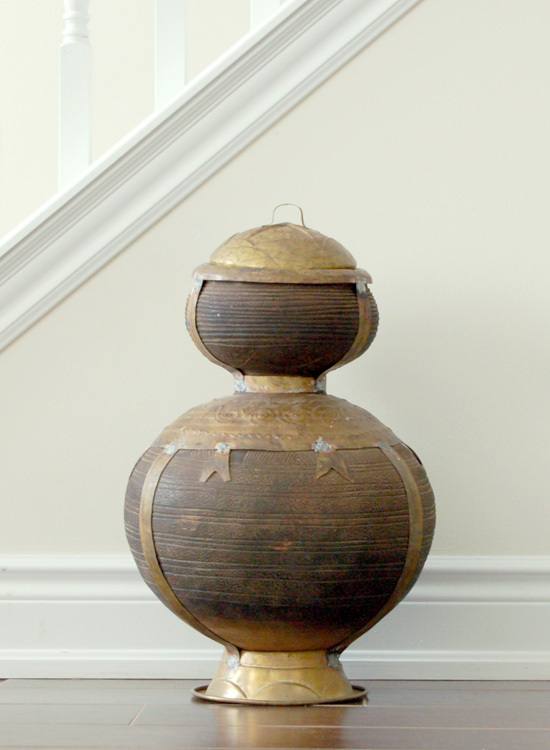 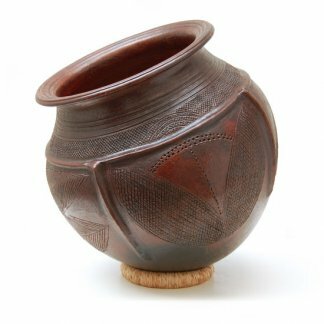 This is an authentic double-volume Nupe clay pot adorned with hammered brass-work. 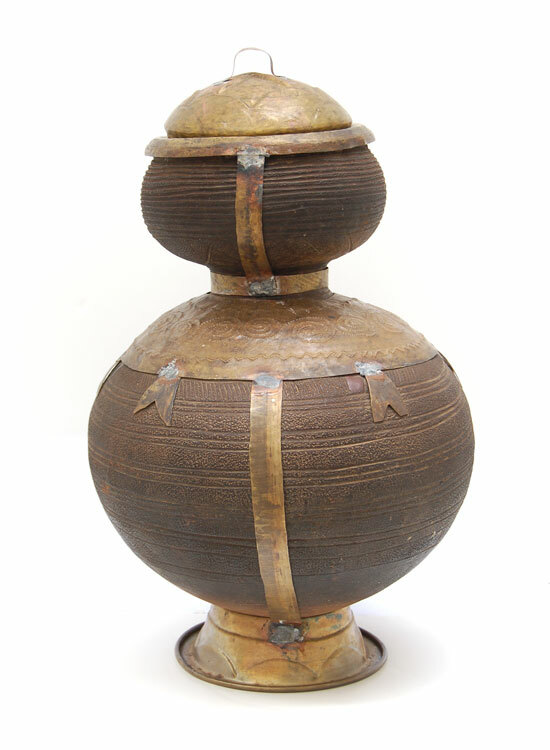 The embossed brass embellishment continues around the rim and surface wall and extends to form the base. 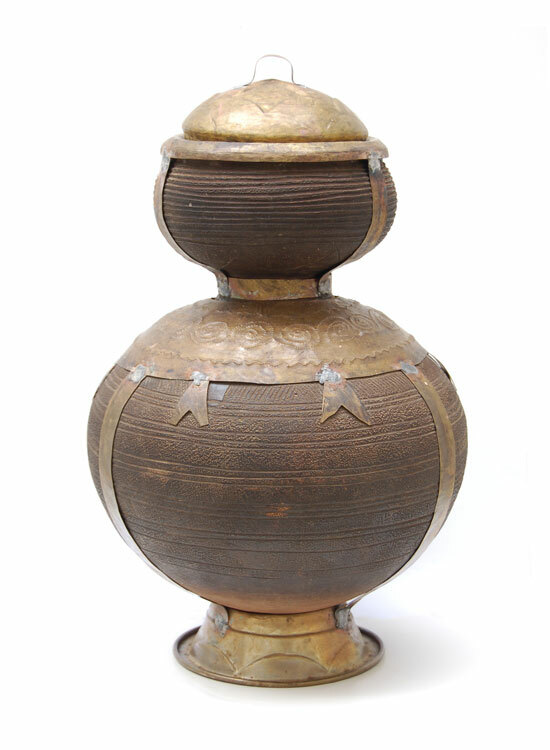 It is then topped with a similarly engraved brass cover. 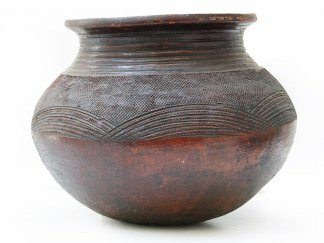 This is a museum quality collectible. 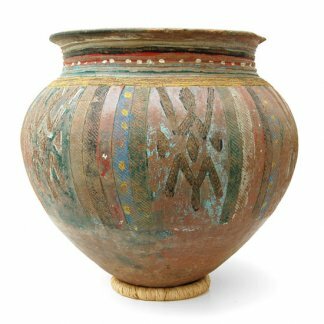 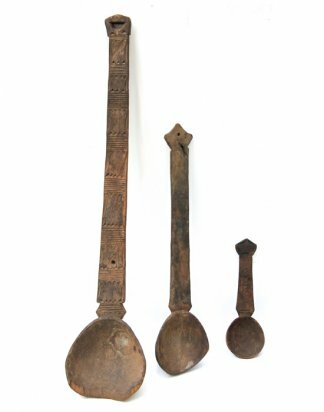 These are difficult to acquire items and we have been able to import just four (4) pieces. 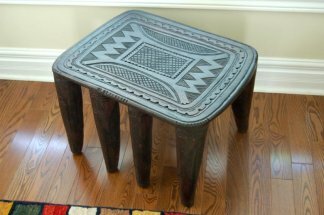 Please note that each piece is handmade, therefore patterns and colors may differ.